Showcasing your next best product in a white studio lighting environment seems very simple. In actuality, doing this correctly or "physically accurate" is really more complex than you'd think. It's not exactly what you wanted. So to fix this, the answer lies in a production material called the Matte/Shadow/Reflection shader. This is a material that does some nice trickery and saves you alot of work to render your scene with a different "environment." This can be found under the mental ray materials in the Material Map Browser. Simply apply this material to your ground plane. Of course you'll have to change the "Camera Mapped Background" color to white if that's what you want. The scene setup is very simple for this example. 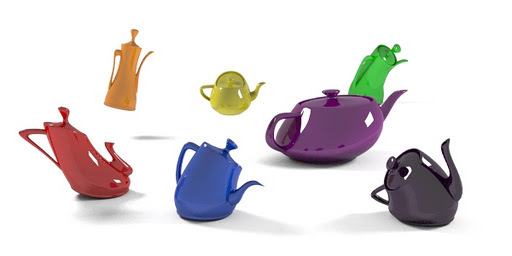 I have 2 photometric area lights, and a plane that my teapots are sitting ontop of. That's it. Simply apply the Matte/Shadow/Reflection material to your plane and you're done...you have now created a white studio light setup. You may also notice that the objects in the studio rendering, are lighter than they are in the regular rendering. 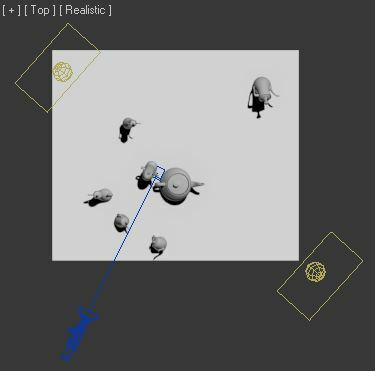 This material renders your objects to bounce light as if the scene were white, so your objects are also reflecting the white scene, hence physically accurate lighting. 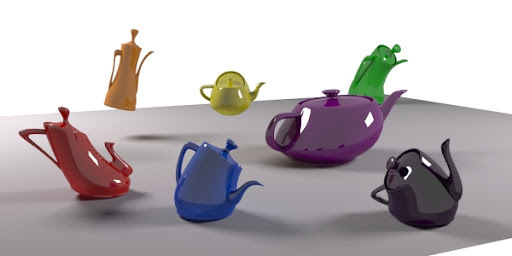 The MSR material can also be used to create mattes to render certain objects that need to reflect an environment, and can be composited later in post. There is one thing to note: I've found this material to act really weird if Exposure is turned on. So before you start setting your lights, bear in mind you'll want to set up your scene without exposure. This is what happens if you use the MSR material with mr Photographic Exposure Control...weird! very intresting, thanks! 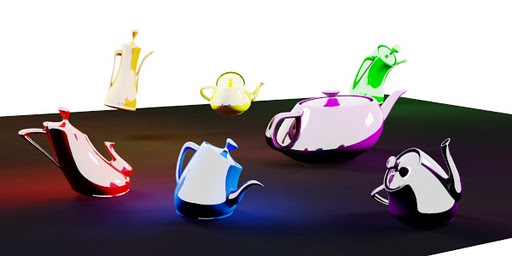 one question, are the area light causing the white reflections in the teapots. if yes, how exactly are the adjustments of the ligts? in your light settings in the modifier tab, there is a field under Shape/Area Shadows rollout called "Light Shape Visible in Rendering". Just check it, and it will make your photometric area light visible in the rendering. I am fairly new to 3D Max animation. I have a question regarding how to animate an direction arrow. My intention is to import a google earth image of a route in 3D max. Then I want to show the route by animating a direction arrow which plays in a loop (like the arrow boards we see in the night). I have attached the image for reference. I think it is possible to use mr exposure in the scene you showed in that topic. physical scale must be unitless and tweaked by taste, process environment and background maps should be on, as 3deek mentioned. As Zap Anderson explained production shaders work well with non physical scale lights and by turning physical scale to unitless and enter some values there we tell max at wich physicaly correct numbers, brightness of the light (usually the values of the brightest light) is equal to the brightness of a pixel equal 1 (the pure white color).